From The New York Times: After a succession of political setbacks in onetime strongholds and a landmark defeat in the Supreme Court, organized labor has notched a hard-won victory as Missouri voters overrode a legislative move to curb union power. 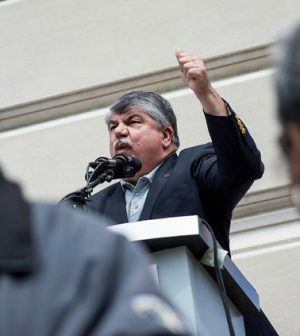 A measure on the ballot on Tuesday asked voters to pass judgment on a prospective law barring private-sector unions from collecting mandatory fees from workers who choose not to become members. The law was rejected by a 2-to-1 margin. The Supreme Court in June struck down such fees for public-sector employees, achieving a longstanding goal of conservative groups and overruling a four-decade precedent. But Jake Rosenfeld, a sociologist who studies unions at Washington University in St. Louis, cautioned against overstating the victory. A mere 8.7 percent of workers in Missouri were union members last year, below the national average and down from more than 13 percent a decade-and-a-half ago.